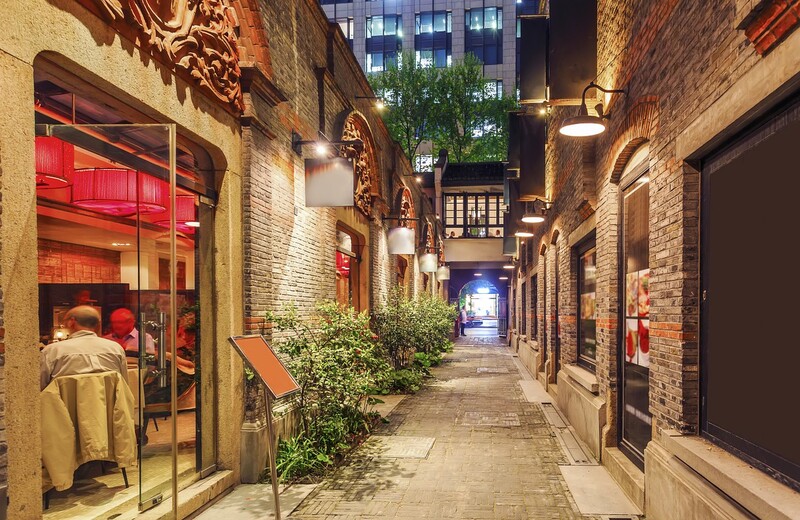 Xintiandi literally means “new heaven and earth”. It’s a new landmark of Shanghai developed in the late 1990s. In order to improve the living conditions of local people, the majority of old-style Shikumen houses were replaced with new apartment buildings. Some were worried that this traditional local house type might disappear one day, so the government decided to maintain some as cultural heritage. This area has now grown to become a major western-style dining location.